Students in Winston-Salem, North Carolina, average 1,215 hours¹ of schooling each year (or 6.75 hours per school day). 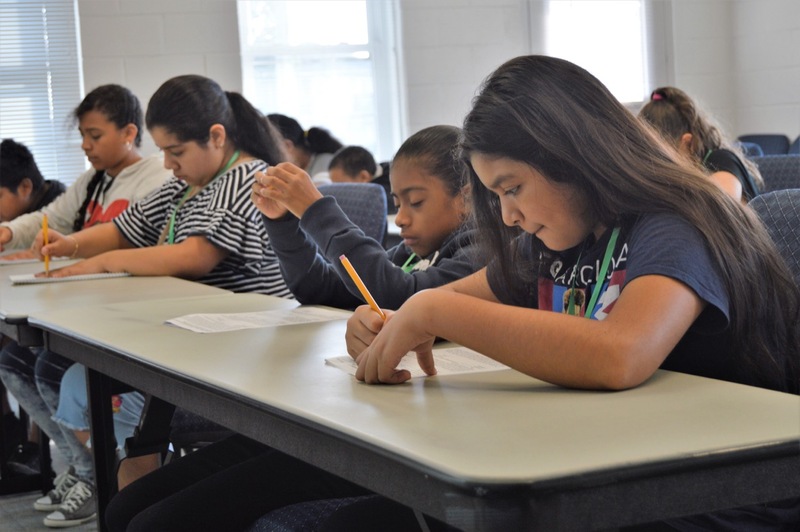 During this time, many of them are immersed in curriculum designed by our district while battling the effects of under-funded schools, poverty within their homes, and negative social and cultural influences. These are the struggles facing our under-preforming students attending the Title I schools of Forsyth County, NC. The Piedmont Renewal Network is working to break this cycle, one student at a time. Imagine that it’s 7:50 AM on Saturday. While you are sipping what might be one of a few cups of coffee, our students and families are arriving for the College Lift Initiative (CLI), a weekly six hour supplemental school day. While at CLI, students will receive instruction in core subject areas (Science, Math, and English Language Arts) and will attend “Vision Time.” During Vision time, students are inspired with visions of what their future could look like, and encouraged to give what it takes to get into the college of their dreams. All the while, parents are attending every other Saturday to learn about topics they have requested. These meetings span a range of subject matter, such as financial literacy, career advancement, and creating healthy home learning opportunities environments. Students and their parents also receive access to social and emotional resources as needed (e.g. social services and counseling). The programming our families go through is both rigorous and comprehensive. We strive to deliver the highest quality education, and achieve this though paid teachers and staff. While students are with us on Saturday, we ensure they are mentally prepared for learning by providing breakfast and lunch. Now imagine that it’s 2:15 PM on a Monday or Wednesday. You might be at the office, picking up the kids, or maybe even eating lunch. At the same time, our students have just wrapped up their day at middle school, and are walking down the hall for two hours of after-school tutoring. During this time they attend four different centers, covering the topics of math, reading comprehension, vocabulary and homework assistance. All along, students are motivated to finish the course by the promise of tuition free college. We strive to support our students in all they do, and that comes at a price. The cost of Saturday schooling and tutoring twice per week is $250 per student, per month. We are excited to announce the opening of student sponsorships to both individuals and companies. Our goal is to find 100 sponsorships, which will cover each of our students enrolled in the fall of 2019. If you commit to sponsorship, you’ll receive exclusive updates and communications from your student and be kept up to date with the important life milestones and accomplishments your gift makes possible. We ask that you consider being a part of the change that is so critically needed, not only for the students currently enrolled in our program, but also for the next generation of children in Winston-Salem. Will you partner with us?